Arsenal should look at these 5 goalkeepers to replace Petr Cech. Arsenal goalkeeper Petr Cech has announced that he will hang up his boots at the end of the season after 443 games in the Premier League. Cech holds the record for the most number of clean sheets in Premier League history – 202 – and will certainly go down in history as a legend of the game. Summer signing Bernd Leno has been Unai Emery’s first choice this season but the German has only managed to keep 2 clean sheets in 19 starts this term. Leno has also made 3 errors that have resulted in a goal this season, which is the worst record in the league along with Asmir Begovic and Jordon Pickford. David Ospina is on loan in the Serie A at Napoli and according to CalcioMercato, the club will sign the Colombian on a permanent deal in the summer. This leaves Arsenal with Emiliano Martinez and Matt Macey as backups to Leno but both are inexperienced and any injury to Leno could leave Emery in a massive problem. The 32-year-old has been the second choice to Thibaut Courtois at Real Madrid this season and has played just 3 games in the La Liga. 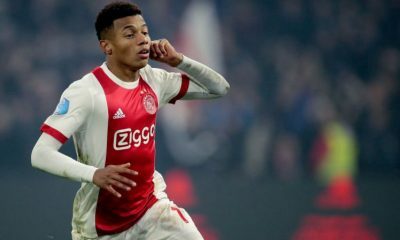 The 3-time Champions League winner would bring in a lot of experience, leadership and a winning mentality to the Gunners. Keylor Navas has played over 200 senior games in his career and his quality cannot be questioned. The Costa Rican, with his experience, can push Leno and help the other young goalkeepers at the club take their game to the next level. 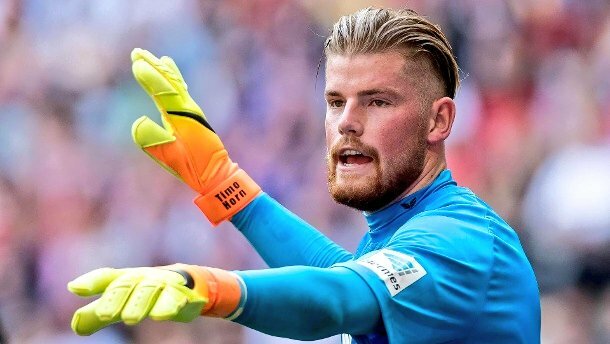 Timo Horn showed immense loyalty to Cologne after agreeing to stay at the club following their relegation from the Bundesliga last season. 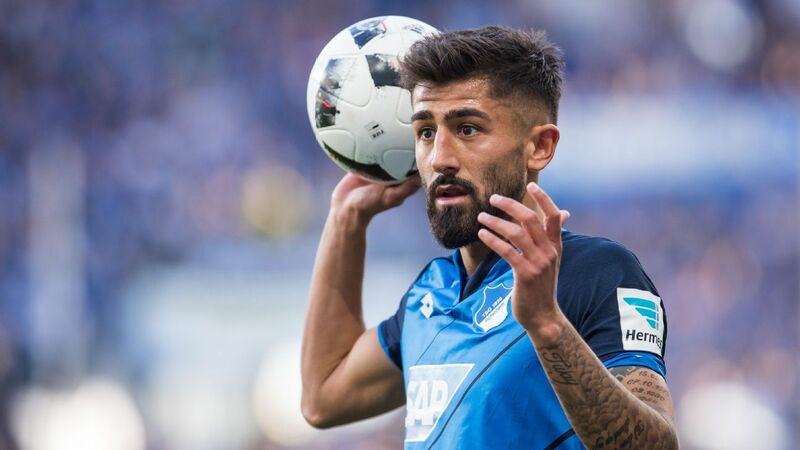 The 25-year-old has played 19 games so far in Bundesliga 2 as Cologne are 4 points off the top with a game in hand. Horn stands at 6 feet 4 inches and is dominant in the box, has great reactions and is good with the ball in his feet. He will relish the fight with compatriot Leno to become Arsenal’s no.1 and that will only do good to both the keepers, who are aiming to get into the German national team. Butland plays for Stoke City in the Championship and has started every game this season, keeping 10 clean sheets so far. He has the experience of playing in the Premier League and his talent is unquestionable. Despite standing at 6 feet 5, Butland is incredibly quick off the line, has exceptional reflexes and can play out from the back with his feet. If Arsenal do sign Butland and he improves his game, then the Englishman can be the Gunners’ goalkeeper for the next 10 years. Asenjo has played every minute of the season so far in the La Liga and has kept 5 clean sheets. Villareal have had a really poor season so far and are placed 19th in the league. Asenjo has averaged 3.9 saves per game this season and would be a very good signing for the Gunners. The Spaniard is a penalty specialist and has saved 11 penalties in his career, including ones taken by Neymar and former Gunner, Samir Nasri. If Villareal do get relegated, Arsenal can bag Asenjo for cheap and it’s a situation that Unai Emery should monitor closely. 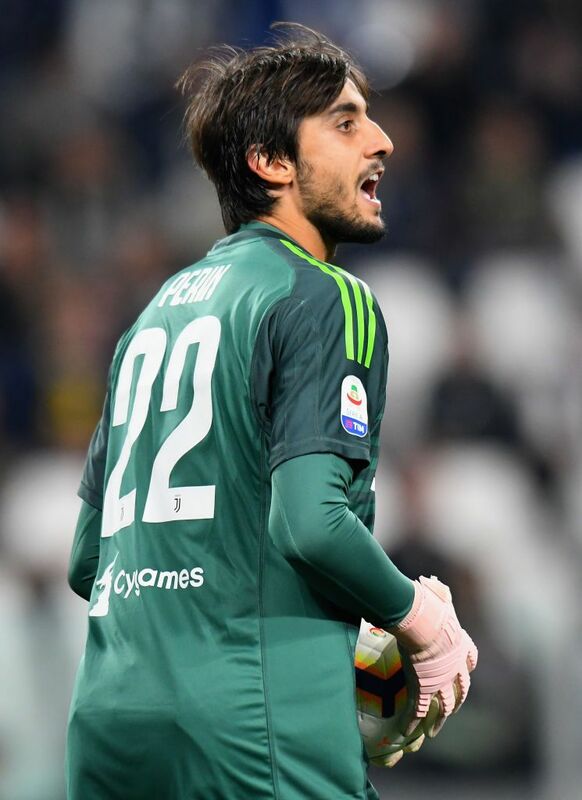 Perin has only played 6 games for Juventus this season with Massimiliano Allegri preferring former Arsenal man Wojciech Szczęsny between the sticks. The 26-year-old has been one of Italian football’s top goalkeepers in recent years, having been touted as the immediate successor to Gianluigi Buffon in the national team. Perin is a brilliant shot-stopper, both from distance and from close range, and also has the ability to pass long, something that Unai Emery will love. Perin is Arsenal’s best option this summer and if they do bag the Juve man, he and Leno will push each other to be one of the best goalkeepers in Europe. 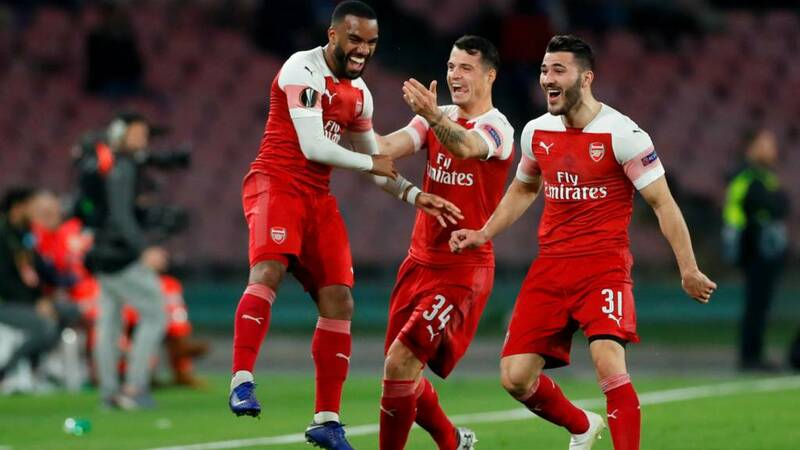 Arsenal made it through to the semi-finals of the UEFA Europa League with a 1-0 victory over Napoli in the second leg of the quarterfinal tie away at the Stadio San Paolo on Thursday night, courtesy of a brilliant free-kick from Alexandre Lacazette. 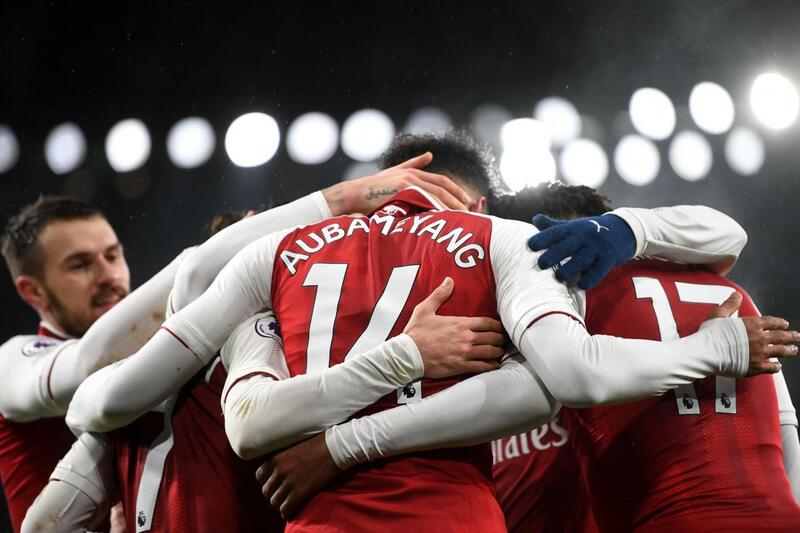 Having won the first leg 2-0 at the Emirates last week, the Gunners carried a major advantage into the return leg and an away goal was always going to put the tie beyond Napoli’s reach. Carlo Ancelotti’s side were expected to put in a valiant effort to overturn the deficit on their home turf and it was Napoli who started off as the brighter of the two sides. Jose Callejon called veteran Petr Cech into action and the Serie A outfit registered a flurry of shots, only to be kept at bay by some resolute and stubborn defending from the Gunners. Emery fielded a back four against Watford on Monday but he reverted to his a back-three system against Napoli, with Sead Kolasinac and Ainsley Maitland-Niles playing as wing-backs. And it has to be said that the manager’s plan was executed to perfection by the likes of Koscielny, Sokratis and Monreal, though the latter did look a bit shaky on a few occasions. On a night where Arsenal didn’t have much of the ball and Napoli largely dictated terms in the final third, the defenders looked content to sit back and absorb the pressure. Arsenal have come under criticism at times for their porous backline this season but the defenders rose to the occasion as a unit and managed to protect the lead. They were aided by some good goalkeeping from Petr Cech and some average shooting from the Napoli attackers, as evident from the stats which show that the Italians managed to get only 2 of their attempted 20 shots on target. Arsenal had only 30% of the possession on the night but the Gunners had plenty of positives to take from their gritty performance. Prior to this game, it was hard to believe that Arsenal could, in fact, win games by defending deep and their strong defensive showing away from home is likely to be welcomed wholeheartedly by the club faithful. 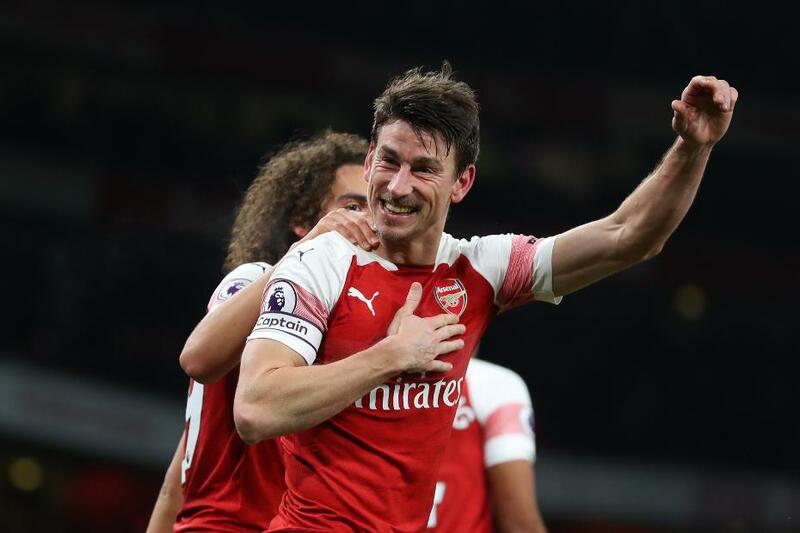 Ainsley Maitland-Niles has really come of age this season and the youngster put up another strong display on Thursday night but it was none other than club-captain Laurent Koscielny who led from the front by example and held things together at the back. 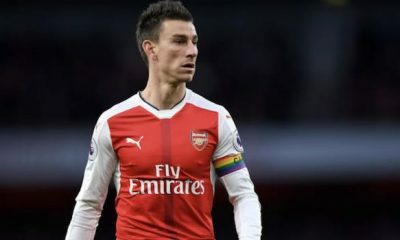 Koscielny, 33, might be nearing the twilight of his career but he is currently enjoying a purple patch. Arsenal really missed his services earlier in the season when he was out injured and they now look a lot more secure at the back with their captain leading from the front. Playing at the heart of a back three, Koscielny hardly made a single mistake under immense pressure from Napoli and dealt with almost everything that came his way. 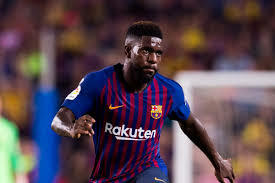 The Frenchman showcased great positional awareness and aerial prowess in an authoritative defensive display that spoke of pure class. Koscielny registered a total of 8 clearances, 2 tackles and 1 interception, while also catching the opposition offside on 3 occasions. Napoli were caught offside on 6 occasions throughout the ninety minutes and Koscielny ensured with his leadership qualities that his teammates all held a good line. Arsenal used the offside trap really well and Koscielny’s presence was pivotal to it. 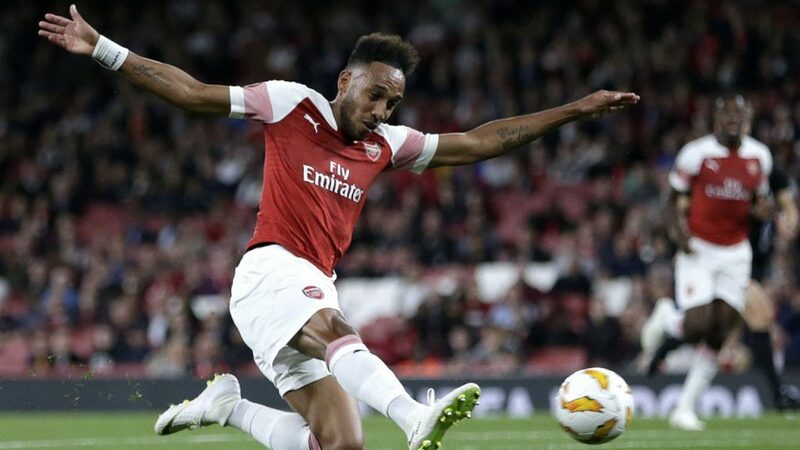 Arsenal are now set for a semi-final showdown with Valencia in the Europa League and the Gunners will bank heavily on their club-captain to deliver the goods once again. This gameweek of Premier League football boasts a double gameweek for a few of the clubs who missed out on games over the course of the season. While there a couple of very interesting ties, this week has the potential to effectively decide the title as Pep Guardiola’s men will face their biggest test of the season yet in the coming weeks. Still in pole position if they’re able to win all their games, Manchester City have two difficult games lined up for the week. They will be visited again by Tottenham in the space of a couple of days for the early kick-off on Saturday before travelling across the city to take on rivals Manchester United on Thursday night. Arsenal are a club who’s fixtures look good on paper but securing 4th place certainly won’t be a facile job. This week, they are set to host Crystal Palace before travelling to the Molineux to face Wolves later in the week. Chelsea have just one fixture on the week and that’s on Monday night when they will be visited by Sean Dyche’s Burnley side. United’s other fixture is against Everton on the weekend while Tottenham have to face Brighton in midweek. Liverpool’s fixture list will certainly fill the Reds fans with confidence as in the midst of all these potential season-changing matches, they travel to lowly Cardiff City who are on the verge of relegation. Watford and Southampton both have two games on the week as well making them potential points scorers for the week as well. Considering that City have their most challenging week ahead of them, depending on City players as most people usually do could teen out to be a grave mistake. The Gabonese forward has been the Gunners’ best player and there hasn’t been any sign of him slowing down as we head into the last few weeks of the competition. Consider that Arsenal have two games to play this week as well, betting on Aubameyang to deliver the goods seems like a fairly decent bet. Probably one the least picked captains of the week, Andre Gray has an amazing opportunity in the coming week and if he does make full use of it, captaining his could have massive implications. Considering that Troy Deeney is out with a suspension, it’s essential for Gray to play and with game against Southampton and Huddersfield around the corner, this could the perfect time. Liverpool are set to face off against Cardiff City this weekend and although the Bluebirds are mathematically still in with a chance of maintaining Premier League status. 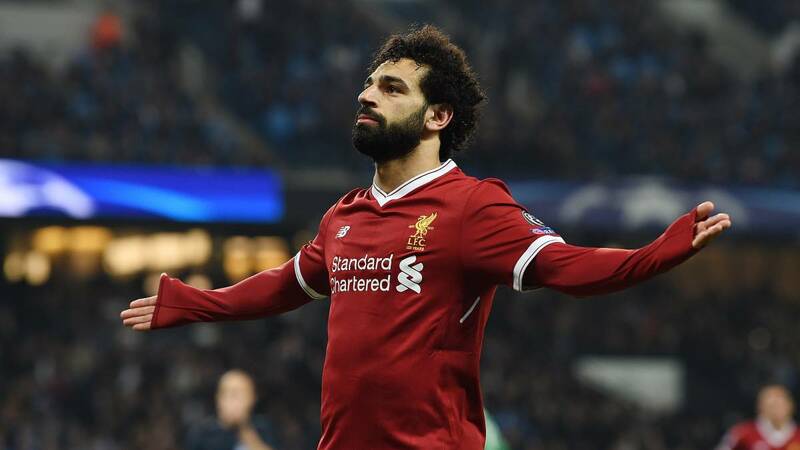 The likelihood of that happening quite low as the challenge set by the Liverpool front-line including Mo Salah could prove to be too much for the minnows to deal with.